Here at Car-Knack, we know what it takes to get your vehicle looking and feeling the way you want it. In doing so, we work with the best vendors and manufacturers around to bring you high quality products that you can afford. You name it; we have it! And if we don't have what you're looking for, we can order it for you. Also, keep in mind our competitive pricing motto. If there's a product out there cheaper than what we offer, bring in the documentation and we'll meet or beat it! 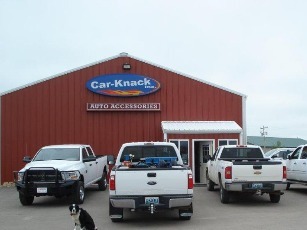 From large accessories down to the smallest of accessories, Car-Knack provides a variety of products suited for all your needs and wants.